Is This A Trend??? - New Architecture & Design Film Festival In L.A.
A documentary about legendary architect and master provocateur Rem Koolhaas. Khondker Neaz Rahman: If you see life, if you see how it grows, then when you grow up you will take care of lives of others. It is not school, it is not a book, it is the timeframe of your life: you learn. So when you turn a city into a place where you don't walk, your kids don't walk, you are raising generations that when they grow up, will not be human. I was recently browsing the documentary DVD section at my local library in search of something interesting to watch, and fell upon this. Certainly the sleeve jacket picture of a city upside down caught my attention, but then when I read what this was about, I thought that this could be really interesting, and I decided to pick it up. So glad I did. 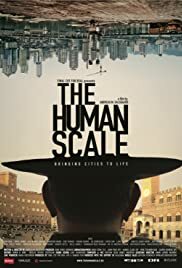 "The Human Scale" (2012 release from Denmark; 77 min.) provides a renewed look at how to plan and build our cities, as seen through the eyes and the vision of Danish urban architect Jan Gelh and his colleagues at Gehl Architects. The opening images, combined with the stirring soundtrack, made me think of the movie "Koyaanisqatsi" from the early 80s. Soon thereafter, we dive into Chapter 1 (of 5), where the movie makers look at how cities in China have changed (don't call it progressed) in a compressed time period of just 30 years. Chapter 2 looks at Copenhagen and New York, and it quickly becomes clear what the movie makers' perspective is, assuming you agree that the way we build cities influences our daily life and our quality of life (which I agree with). The before and after pictures of the changes in Manhattan are fascinating. Chapter 3 looks at Chongoing (China), Siena (Italy) and Melbourne. Chapter 4 brings us the challenges facing Dhaka (Bangladesh). But the best is saved for last: a fascinating look at what is going on in Christchurch, New Zealand. I'm not going to tell you what, you'll just have to see for yourself how it all plays out. In all, at just 77 min., this documentary flew by in no time and I enjoyed it for the most part. Yet I also was bothered by two particular things: (1) the documentary is in essence one long commercial for the services of the Gehl Architects firm. 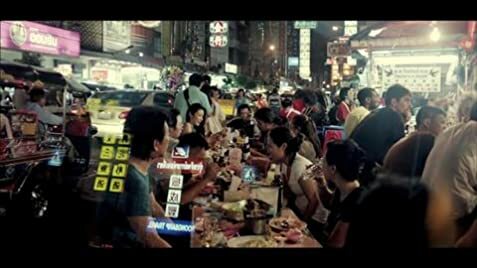 Couldn't the movie makers really not find anyone else to provide other perspectives (even if they are similar to Gehl's)? (2) In the documentary, the point is made several times that the "gold standard' of urban planning is of course Copenhagen ("can X be the next Copenhagen?"). Really? I find it incredibly self-serving, when you realize that this movie is made/produced by Danes and that Gehl is also Danish. Plus it's presented like a matter of fact, when in reality this is a very subjective conclusion and I'd venture to say that there are quite a few cities in Europe that are not all that different from Copenhagen in its urban lay-out. All that aside, if you have any interest in urban planning, I'd strongly suggest that you check out this documentary, and draw your own conclusion on all this.